Not really. It was more like a slow evolution. I always wrote and made art and I just kept doing it until I was creating all the time. 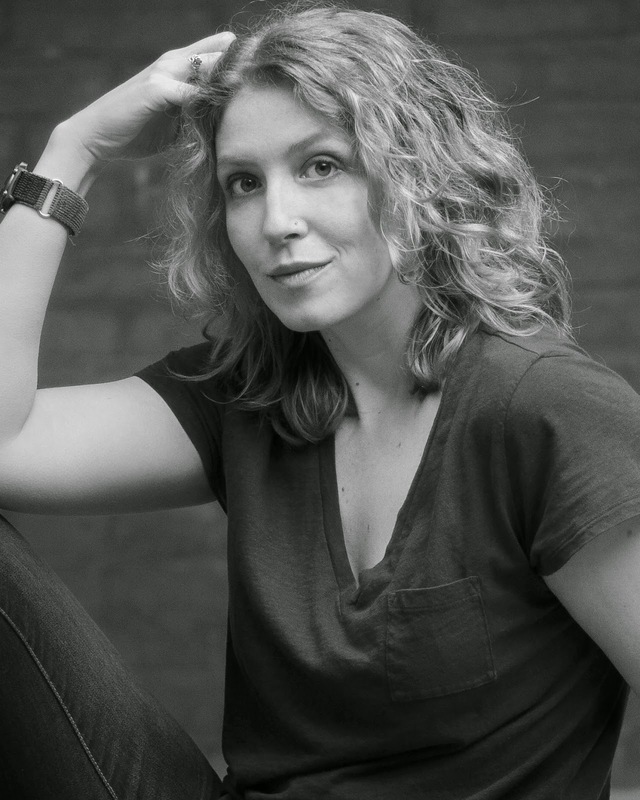 I started my first novel when I was an Anthropology undergrad and by the time I had my degree in hand I just decided that that’s what I wanted to do. So, instead of applying for Anthro programs, I went after my MFA in Writing instead. It’s uniquely human. We thrive and survive through narrative. Whether it’s cave paintings, oral traditions, novels or tweets, we transmit our culture and our individual experiences forward, into the minds of future generations, through story. In your new book; Awesome Jones: A Superhero Fairy Tale, can you tell my Book Nerd community a little about it. Awesome Jones is a book about two people navigating life, love, and dinner in a superhero world. For those who are unfamiliar with Jones, how would you introduce him? Awesome Jones is a painfully average man. He’s been saddled with a ridiculous name his whole life but never understood why as his parents died when he was very young. He was raised by his grandparents in Arc City where superheroes regularly patrol the skies and, ever since he was a little kid, he dreamed of one day becoming one. Then, he falls in love and everything changes. What was the most surprising thing you learned in creating Lona? Early on, when I gave the novel out to readers, I got the same email over and over when they were about 50-75 pages in. It invariably said, “I love Lona. You’d better not kill her.” I realized then that I’d created the kind of character you want to cheer on and protect and, really, you just want her to be happy. Lona’s an interesting character but she’s also very normal--it’s her openness, I think, that’s part of why she’s appealing. The name, Awesome Jones, came out of a conversation my husband and I were having several years ago about ridiculous names. For some reason, I couldn’t get it out of my head. Awesome Jones developed into a real person and I thought about him constantly. Finally I started writing his story and that developed into the novel that exists now. He was an interesting person to write and it was through him, and the people around him, that I could explore a lot of the themes that are important to me. Oh wow! I love this question. I think I’d introduce Julia to Luna Lovegood. They’re both smart, brave, quirky outsiders and I think they’d get along famously. Read widely and often and give every book at least fifty pages. I have a strict “no phones” policy but I typically talk to my husband, or my two BFFs on Gchat. I was born in the 80s and that’s when most of my favorite movies were made. I think if I had to exist in any decade, I’d fit right in with Buckaroo Banzai, Inigo Montoya, and Ellen Ripley. I’d go back to high school and take myself on a great American road trip. Driving across Kansas I’d tell Younger-Me that this part of her life won’t last forever and there’s a much greater, much more interesting world outside filled with all kinds people--that she will see those places and find those people and, if she can just hold out, life will get so much better. The Agents of Shield season finale. Finding time to re-watch all of Sailor Moon on Hulu. The only thing Awesome Jones wants is to be a super hero. Until he falls in love. 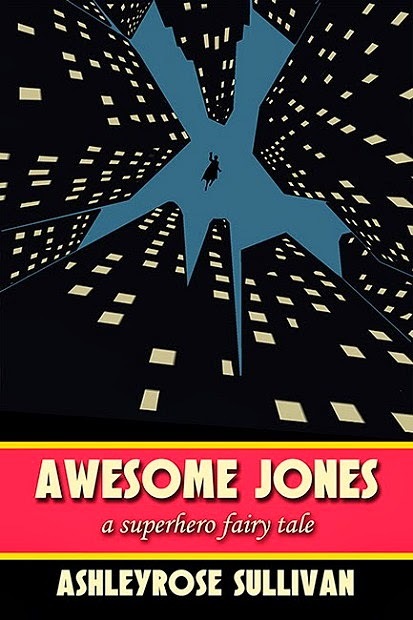 Despite his colorful name, Awesome Jones is a painfully average man who dreams of being a super hero, just like the ones who patrol his city. It's been that way since he was a little boy, raised by his grandfather after his parents' death. The day Jones starts his new job as a file clerk at Akai Printing Company he meets secretary Lona Chang and everything changes. Lona sees something in Jones that no one ever has and the two quickly become inseparable. But when the perfect pair's domestic bliss is threatened by a super-powered secret from the past, Awesome Jones has to make a choice. He must decide whether he should play it safe or find the strength to live up to his name and risk everything he's come to love to save the day like he always dreamed. This super hero novel is more than just a comic book in prose-it's a fairytale for adults. Thank you AshleyRose for making this giveaway possible.